Pedro Almodóvar is only the most recent in a line of great antiestablishment film directors who have worked continuously in Spain since the 1930s. There are other gems too. Pritchett which was short-listed for the Whitbread Biography Award and the Pol Roger Duff Cooper Prize. 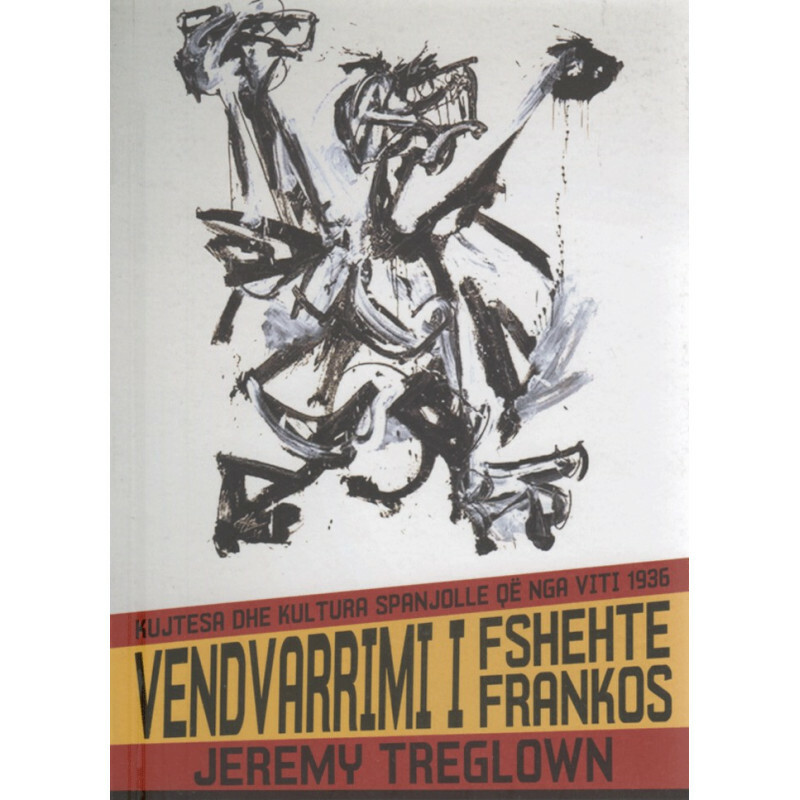 To explain how the Spanish have come to terms with the war and Franco's rule, Treglown narrates a series of personal encounters with people and places in contemporary Spain, weaving them together with his examinations of cultural artifacts, including public works, paintings, movies, and novels. Whilst Treglown has much to say on the way the period has been recalled by more recent writers such as Javier Cercas and Antonio Muñoz Molina, his great accomplishment is the reinstatement of what went before. The section on art would have benefited with the addition of many more illustrations. Cullman Center for Scholars and Writers, he has taught at Oxford, University College London, Princeton, and the University of Warwick, and has written for The New Yorker and The New York Times Book Review. Treglown offers a stimulating new reading of the chief milestones of Spanish culture since 1939. I will acknowledge that I have a basic foundation of knowledge regarding Spanish art and a degree of fluency in the language, so I understood Treglown's analyses quite well, but do acknowledge that someone without the interest in Spanish fine arts could easily have gotten lost, or more simply, bo I received this through Goodreads First Reads. To explain how the Spanish have come to terms with the war and Franco's rule, Treglown narrates a series of personal encounters with people and places in contemporary Spain, weaving them together with his examinations of cultural artifacts, including public works, paintings, movies, and novels. It also serves as a thought-provoking study on artistic expression under authoritarian regimes. The author is British and spends a lot of his time in Spain. In doing so, he highlights the vitality of the country's artistic activity under Franco, subjecting the standard leftist narrative of a culturally stale Francoist Spain to sharp contradiction. A small but growing part of this large bibliography studies the memory of the war and its lingering effects on Spanish culture and society. He would watch the film, sometimes in tears, in his private cinema, where he also watched other films such as Casablanca that had been banned from general distribution by his censors. This is where his book is especially powerful. I went to Spain my college Junior-Senior summer. But some of his observations and interpretations are glaringly superficial if not downright wrong. There are no laws prohibiting fascist salutes, flags, symbols, demonstrations or songs. Amaya Caunedo Domínguez, a historian who worked on the mass graves project before Rajoy shut down the Office of Victims of the Civil War and the Dictatorship in March 2012, told me that without financial or infrastructural support from the state, she had had to leave her own mobile number as a contact point at various excavation sites and town halls. And the book does us all a great service by translating and reproducing the priceless in the mind-boggling sense interview with the director of Spain's Royal Academy of History about the much-criticized Diccionario biográfico español. Its members included political partisans from both sides. This cultural richness resulte-d not, the book argues, from benevolence on the part of Franco or his entourage. Pedro Almodóvar is only the most recent in a line of great antiestablishment film directors who have worked continuously in Spain since the 1930s. Are you deeply intimate with Spanish culture? It's a history book, but it's not. 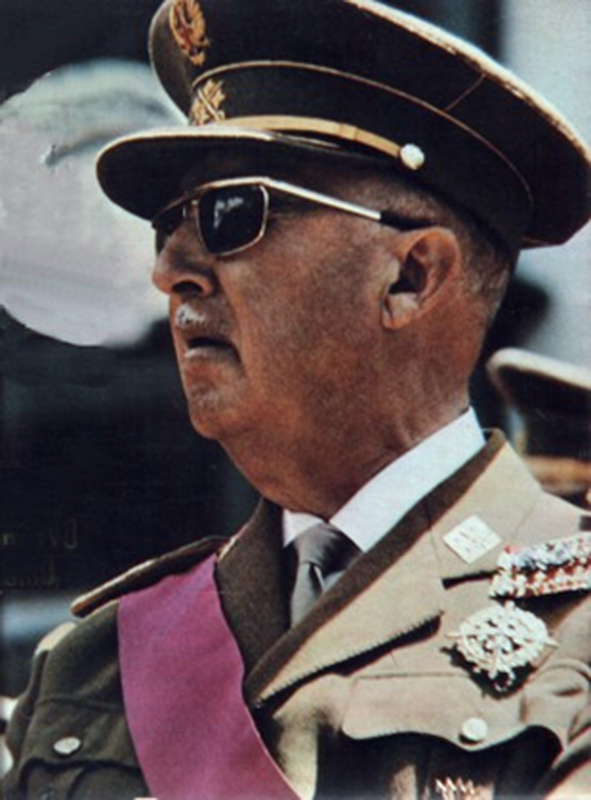 Franco's legacies had deep effects throughout Spain but were more complex than has been acknowledged. In fact these scenes comprise only a tiny part of the book. After the first couple chapters about mass graves and dam building, it feels a lot like reading an anthology. History blends with memory and eventually becomes myth. It has made me aware of some books I wouldn't have otherwise known of, and sparked my interest in the history of Spain in that time period. The second half of the book looks at fiction, both written during the Franco regime and afterwards, as well as film covering the Spanish Civil War and its aftermath. As early as 1943, former Republicans and Nationalists were collaborating in Spain to promote the visual arts, irrespective of the artists' political views. The result is a much-needed reexamination of a history we only thought we knew. It provides an interesting perspective on looking at the pieces, which I believe could have been developed further. In a compelling investigation of collective memory Jeremy Treglown talks to the descendants of men and women killed during the civil war and ensuing dictatorship and stands on a hillside with them as remains are excavated; he attends a Sunday service in the basilica dedicated to Franco's memory, examines monuments, paintings, novels, films, computer games and finds that despite state censorship, creativity under Franco was burgeoning and events of the time were in fact vividly recorded. In his focus on the surprising richness of Spanish culture since the war, Treglown pushes back against a knee-jerk pro-Republican perspective--not by apologizing for the Nationalists but simply by abstaining from projecting his own moral stance on the culture of the period. Informative, searching, and disturbing, Franco's Crypt updates what V. Memory is not the same thing as history. 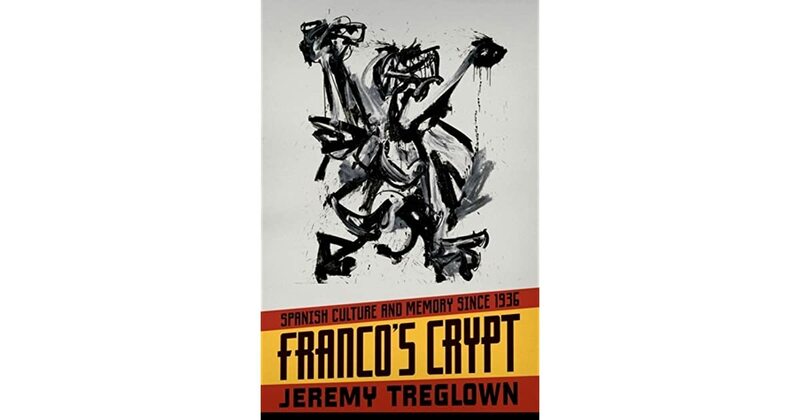 Spanish Culture and Memory Since 1936, Jeremy Treglown. 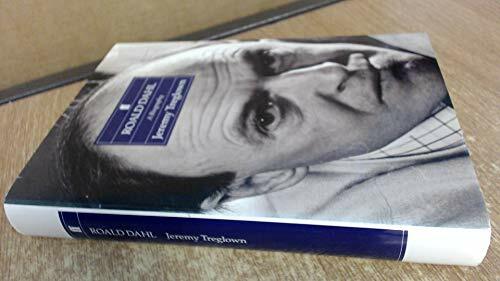 A former editor of The Times Literary Supplement, he has taught at University College London, Oxford, Princeton, and Warwick, and has written for The New Yorker and The New York Times Book Review. History is written by the victors. Yet La Guerra de Espana was, as its name asserts, Spain's own war, and in recent years the country has begun to reclaim this crucial aspect of its history. His inquiries into the Spanish past recover experiences and efforts that don't fit neatly into the rival rhetorics. I'm full of admiration for the scale of Treglown's undertaking, for its fine balance between storytelling and reflection and its subtle and deep political and aesthetic judgments, which touch on practically everything that irritates or pains me most about my country. The myth that truthfulness was impossible inside Franco's Spain may explain why foreign narratives For Whom the Bell Tolls, Homage to Catalonia have seemed more credible than Spanish ones. In a compelling investigation of collective memory Jeremy Treglown talks to the descendants of men and women killed during the civil war and ensuing dictatorship and stands on a hillside with them as remains are excavated; he attends a Sunday service in the basilica dedicated to Franco's memory, examines monuments, paintings, novels, films, computer games and finds that despite state censorship, creativity under Franco was burgeoning and events of the time were in fact vividly recorded. An illustration of this view is found in the career of the anarchist film director Luis Buñuel. Life, particularly in old age is bound up in history, memory and myth. Franco's Crypt questions both the fabrication of Franco's legitimacy and the one-dimensional view that his regime crushed all creative voice and expression.